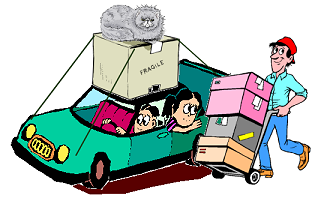 If You Are Moving - ABC BURGLAR ALARM SYSTEM INC.
Moving? We come with you! MOVING CAN BE STRESSFUL! We know this. Ensuring your valuables remain safe should not be one of your worries. We want to make the transition into your new home as smooth as possible. If you’re moving, ABC Burglar Alarms is here for you every step of the way. Whether you are currently an ABC customer and are planning to move OR if you are moving into a home that already has an ABC alarm system installed in it... maybe it has an alarm installed by another company or no alarm at all. No matter what, we’re here to help you! REMEMBER: If you sell your house and the new resident keeps the alarm system through us, we will give you 3 months of FREE monitoring at YOUR new house. Our team is available to assist you in whatever way we can, and make the transition as easy as possible. Please contact our main office at 301-249-9200 to begin this easy process and we would be happy to help. Let ABC take care of everything for you and guide you throughout the process.